Are you accepting new students? Suzanne Hamlin has been teaching and performing as a professional pianist for 25 years. She began studying the piano at age four, and first accompanied choirs at the age of 11. She completed three years of coursework towards a Ph.D. from the University of Cincinnati College-Conservatory of Music, and she earned a bachelor’s degree in music from the University of La Verne in California and a master’s degree in composition from the University of Idaho. She has taught courses in piano, music history and appreciation, and the history of rock music at the University of Idaho, the Community College of Southern Nevada, the University of Cincinnati, and Wilmington College in Ohio. While at the University of Cincinnati, she was editor of the journal Music Research Forum. 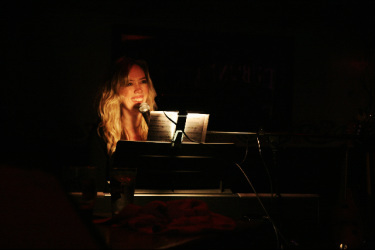 Her teaching philosophy focuses on the fundamentals of music and piano skills and techniques, while integrating fun and individualized lessons. Many of her students enjoy learning jazz, blues, and pop music along with classical technique. In addition, she incorporates theory and composing into lessons, and offers guidance on accompanying, playing from lead sheets, and improvisation. Parents have often commented on her patience and ability to guide a child towards a lifelong love of music. She has taught all ages, including adults and children as young as four years old. Her students have participated in the OMTA Syllabus program, OMTA Classical Festival, the Young Composers Project, the Hal Leonard/Carol Klose Composition Competition, and other events.